Adoption is something that is very dear to our family. We have three adopted nieces and nephews and my husband and I have always felt led to adopt. Our family’s spiritual discontent is orphan-care. There are 153,000,000 orphans worldwide. Whether you’ve ever thought about local or international adoption, the most important thing is just that: to think about it. Here are just a few reasons to consider adoption. This is so true! While it may seem like adoption is becoming a trend in evangelical circles, very few people I know are doing it because it has become popular — they’re adopting because they’ve been called by the Holy Spirit. It is such a good thing to help a child, but we shouldn’t adopt a child because it seems like the “in” thing. We should adopt because we are adopted by Christ. With over 150,000,000 orphans, we need to do something. Each of those kids deserves a loving family. So many of us are blessed with loving families already and these kids deserve the same. Adoption gives us a chance to live out the Gospel first-hand. We can give the world a picture of God’s love and show Christ through adoption. Orphan Sunday is coming November 3rd. Make a point to speak out about orphan-care in your church. Need ideas? Check out OrphanSunday.org and be a defender of the fatherless. Would you ever consider adoption as a possibility for your own family? 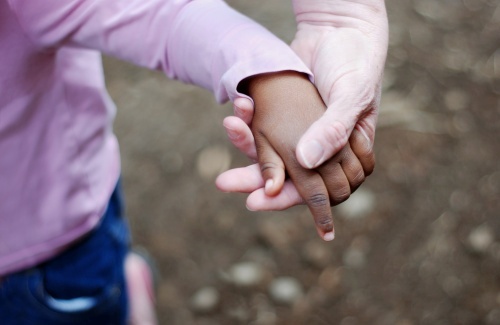 Have you ever spoken to your children about adoption? We’d love for you to share your adoption stories with us below!